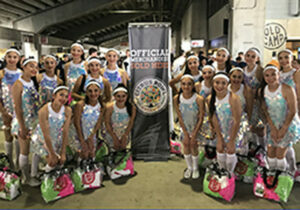 Eighteen members of the Los Fresnos High School Stars dance team performed at the Citrus Bowl at Camping World Stadium in Orlando, Fla. on New Year’s Day. The group was one of several high school groups from around the country who danced during the All-American Halftime Show. The group left for Florida on Dec. 28 and returned Jan. 2. The 18 students from LFHS and Los Fresnos United were selected by one of the All American Cast Selection partners or potential cast members. Each completed a video audition. The theme of the halftime show was “‘Tribute to a Queen” Aretha Franklin featuring CeCe Teneal. The Citrus Bowl was shown on ABC Television. Kentucky defeated Penn State in the game, 27-24.